DHT-Walnut is a shortened name for the Digital Home Technologies PCB 01070201 Rev. 1.1. The DHT-Walnut board is based on the AMCC-Walnut (still available, and still expensive :P). It is a more improved board described at www.amcc.com. A "walnut" searching will inform about schematic and software. 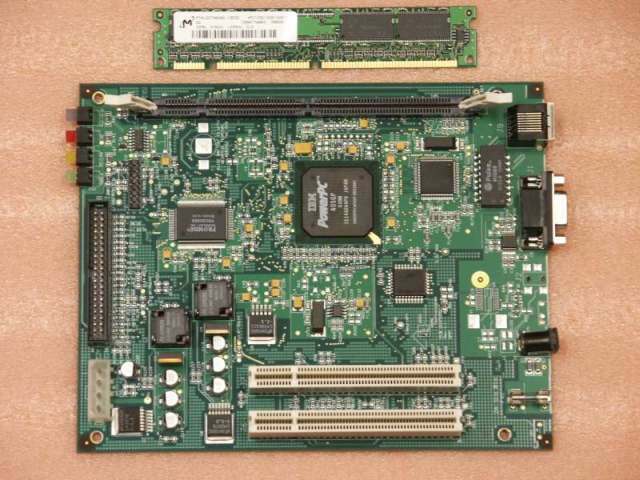 Also keep attention @ DENX: they have developed a lot for the AMCC-Walnut board, and you could find a linux patch for your problem, prettier documentation, developer suit, and much more: in case, you are suggested to have a look to their web pages. Here is the latest ppcboot 1.1.6 patch, as is, it will build for flashing at 0xfff80000 as a replacement for the pcboot-1.1.2 that comes with the board. Here is a binary for those without a toolchain. U-Boot is a significantly updated replacement for ppcboot. See: U-Boot for the DHT-Walnut. (Mostly) working kernel binary and config from jbevren with matrox fbcon and usb input support. Debian GNU/Linux netboot installer -- Install Debian from the internet to a hard disk. How To recover from "Brickage"